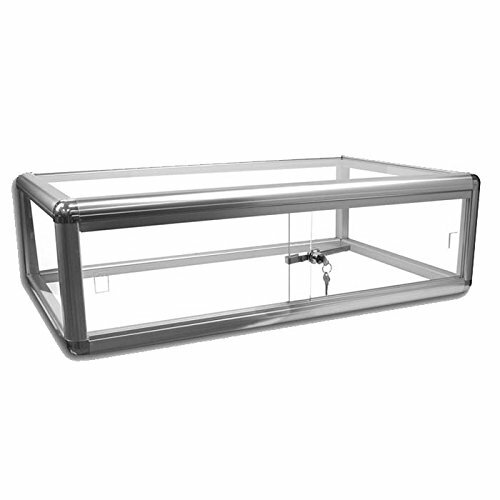 Aluminum and Tempered Glass Top Display Case Measures 30'' wide by 18'' deep and 9'' tall. This lovely glass display case is an excellent place to keep items where they are easily viewing by customers, but under lock and key (keys included). Perfect for the counter-top. Size: Measures 30" wide by 18" deep and 9" tall.